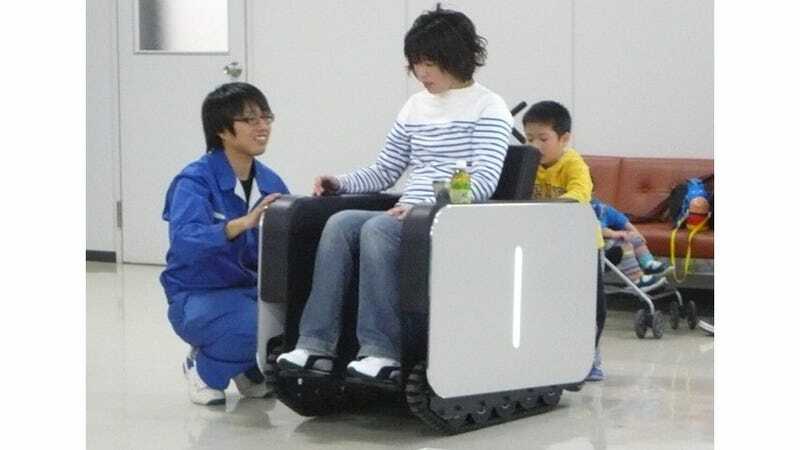 Is This Tiny Tank the Comfiest Wheelchair Ever? It might look like a one-seat sofa capable of traversing almost any terrain on the planet, but this compact electric vehicle is actually designed to be a highly maneuverable and comfortable alternative to a traditional wheelchair. You won't ever see it cruising down sidewalks, but one day they might be crawling all over hospitals.